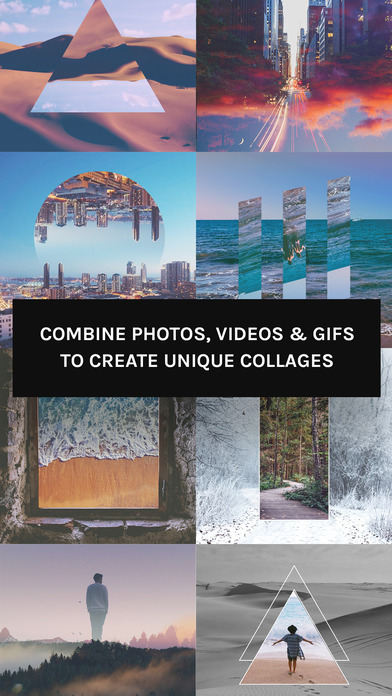 The best collage maker app for creative people. 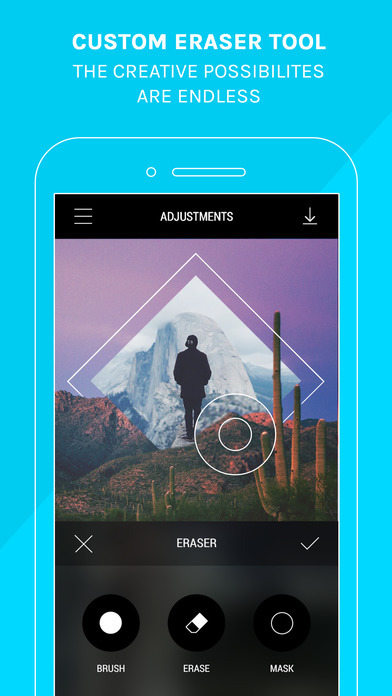 Blend photos, videos, and gifs together like never before. Blend your images together seamlessly with the Intermix. A variety of blending options are at your fingertips from all times favorites such as overlay and multiply to the more nuanced filters such as difference and exclusion. Easy to use layering system allows you to bring your vision to reality. Manage layers by reordering them or delete them if your artistic vision has changed. With access to a library of over 200+ shapes that only continuously grows with each update. From basic to designer shapes, we have a variety of shapes that will fit your style. Get creative and mix shapes and photos together to create your own artistic masterpiece in the palm of your hand. Need help or have a suggestion on how to make the app better? Send us an e-mail.